Getty ImagesChelsea was pained by an embarrassing loss. Chelsea was ruined by AS Roma in the Champions League on Tuesday night. In the video below, three Chelsea players tore after Edin Dzeko in a “schoolboy” display of defending. Roma midfielder Stephan El Shaarawy scored twice in a 3-0 win. BT Sport branded it “schoolboy defending,” and it’s hard to argue otherwise. 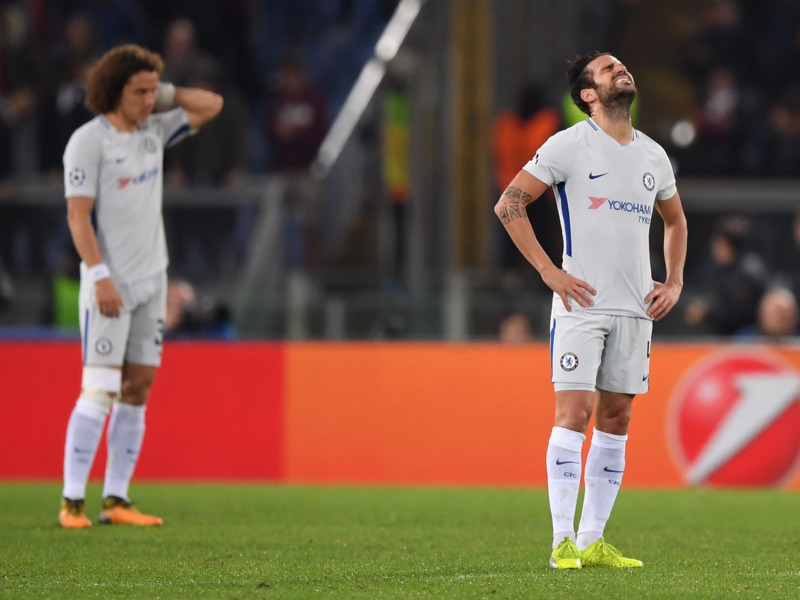 In a bizarrely synchronised moment of bad defending, three Chelsea stars chased after a single Roma attacker, leaving a man over to have a free shot at goal. During Chelsea’s 3-0 Champions League defeat in Rome, Italy, defenders Antonio Rudiger, David Luiz, and Cesar Azpilicueta all decided to crowd around Edin Dzeko. It allowed Diego Perotti to run into the penalty box completely unmarked. Perotti may have missed this chance but he did net Roma’s third goal in its 3-0 romp over the Premier League champions at the Stadio Olimpico. Stephan El Shaarawy rifled in the first after just 39 seconds, while he got a second in the 36th minute. Chelsea boss Antonio Conte has little time to remedy the team’s wrongs as it prepares for the visit of Manchester United on Sunday.